It may not seem like a stationary bike can do much to improve your health, but these machines can improve your cardiovascular system and boost your weight loss efforts. Working out on a stationary bike is also something you can do on your own or in a group setting, so you can always change things up to keep it fun and interesting. Then how long should you ride a stationary bike for weight loss? Read on to find out. How Long Should You Ride a Stationary Bike to Lose Weight? 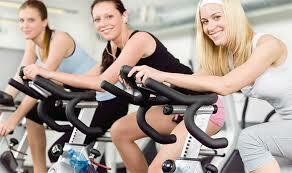 Utilizing a stationary bike can be a highly effective way to lose weight quickly. Knowing how to plan out your workouts so you can maximize your calorie burn to lose more weight over the long term is something you need to plan out for. While you might be tempted to hit your bike with full intensity, if you want to see long-term results with your weight loss, it is best to start out slow and build up the intensity as you become more physically fit. Maintaining a heart rate that is around 35 to 54 percent of its maximum rate is considered bicycling lightly. Light cycling can result in burning 325 calories for someone who is around 130 pounds, 380 calories for someone around 155 pounds and 475 calories for someone who is 190 pounds. Since one pound equals 3500 calories, someone who is 130 pounds will burn one pound in almost 11 hours; a 155 pound person will burn a pound in about 9 hours, and a 190 pound person can burn a pound after about 7.5 hours of light bicycling. When your heart rate is at about 55 to 70 percent of its maximum rate, you are cycling at a moderate level. A 130-pound person can burn up to 415 calories, a 155-pound person can burn up to 495 calories and a 190-pound person can burn up to 605 calories maintaining a moderate cycling speed. How long should you ride a stationary bike to lose weight at a moderate pace? To lose one pound, a 130 pound person would need to cycle for 8.5 hours, a 155 pound person more than 7 hours and a 190 pound person a little less than 6 hours. When you can maintain a heart rate that is 70 to 89 percent of its maximum rate, it is considered vigorous cycling. A person weighing 130 pounds can burn up to 620 calories, a 155-pound person can burn up to 740 calories and a person weighing 190 pounds can burn up to 906 calories an hour. To lose one pound, a person weighing 130 pounds would need to cycle for about 5.5 hours, a 155 pound person would need to cycle for about 4.7 hours and a person 190 pound would need to cycle for about 4 hours to lose one pound. When starting out using a stationary bike to lose weight, you want to start slow. If you are under the age of 50, you want to maintain a heart rate that is below 140 beats minutes for at least the first three weeks. If you are over 50, your heart rate should not go over 100 beats per minute for the first three weeks. After the first three weeks, you should maintain a heart rate that does not go over 150 beats a minute if you are under 50. Those over 50 should maintain a heart rate between 110 to 120 beats per minute for the following five weeks. After that, those over 50 should never exceed a heart rate that is over 130 beats per minute. After knowing the answer to "how long should you ride a stationary bike for weight loss", you will still need to be cautious. Slow down your cycling if your heart begins to reach its maximum rate. When you first start out, stick to about three days a week for five weeks, then add another day. After a few weeks, add another day so you are cycling five days a week. Commit to only five minutes for the first week and then gradually add more time to your cycling sessions so you are going for about 20 minutes a session by month 3. Additional notes: Remember that eating a healthy well-balanced diet is also necessary to lose weight. You have to balance your workout efforts with the proper diet. Drink more water, eat more vegetables and cut out unnecessary calories to help with your weight loss efforts. Knowing "how long should you ride a stationary bike to lose weight" will help you plan out the most effective way to lose more weight, but there are additional tips you'll want to know if you are new to riding. These tips will help you feel more comfortable on your bike, which will result in more weight loss. Everyone varies in height and one thing you want to ensure is that the seat on your stationary bike is the right height. It is at the right height when you can keep your leg straight when the pedal is at the lowest point. This will allow you to maintain your intensity level and will reduce the risk of you tiring out as well as putting additional stress on the joints in your knees. When you alternate the speed of your cycling, you build more strength in the leg muscles, keep you mentally engaged and increase the calories you burn during a cycling session. Green tea can help you lose more weight because it can give your energy and stamina a boost. It is important to stay well hydrated during any type of exercising regimen, and what you drink can play a more important role. Try switching out your standard workout out beverage for green tea and see what difference it makes. How long should you ride a stationary bike to lose weight has been answered. However, to reduce the risk of injury, you don't want to push yourself too much. Don't overexert yourself when you are first starting out and slow down when you need to. Set cardio goals to reach each week and stick to them.